A lovely light and elegant design with interesting typography, made for a cafe restaurant. 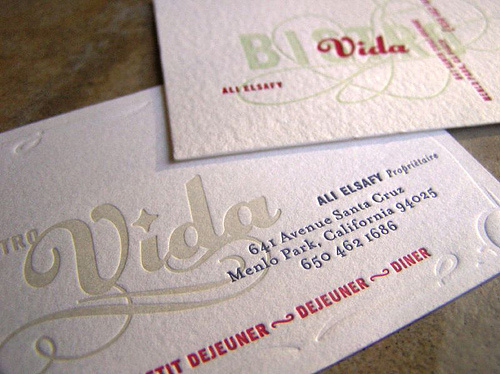 The embossed effect that comes from letterpress printing always adds a an extra dimension to a business card which makes it nice to hold and intriguing to look at. Great design means a card is far more likely to be kept or passed on to others rather than thrown away!